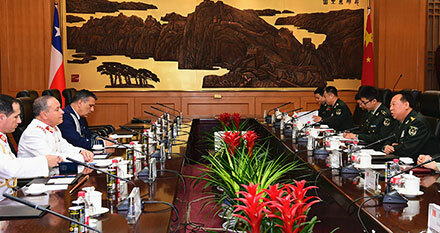 Chinese Defense Minister and State Councilor Chang Wanquan on Wednesday held talks with visiting Cuban Minister of the Revolutionary Armed Forces Leopoldo Cintra Frias. 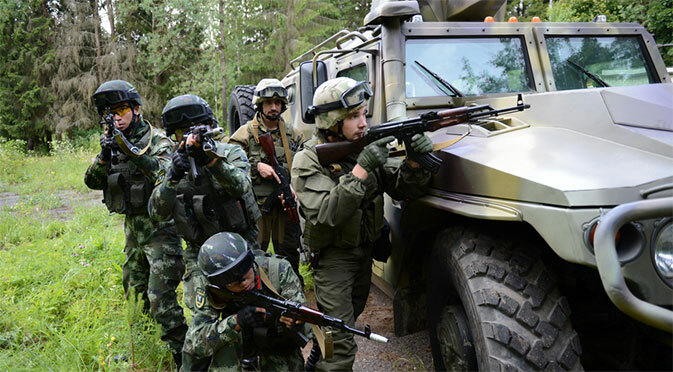 Chinese Armed Police soldiers and their Belarus peers jointly search mock enemies in the jungle on July 15 during the United Shield-2017 joint anti-terrorism drill. 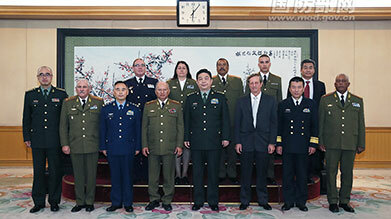 General Li Zuocheng, commander of the Chinese PLA Army, held talks with General Humberto Oviedo Arriagada, the visiting commander in chief of the Chilean Army, in Beijing on Tuesday morning. 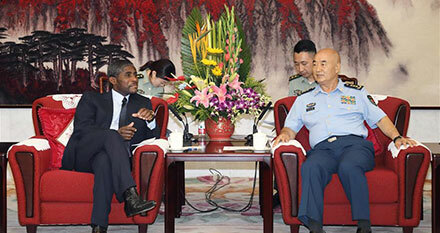 Vice Chairman of China's Central Military Commission (CMC) Xu Qiliang met Teodoro Nguema Obiang Mangue, vice president of Equatorial Guinea, in Beijing on Wednesday morning.